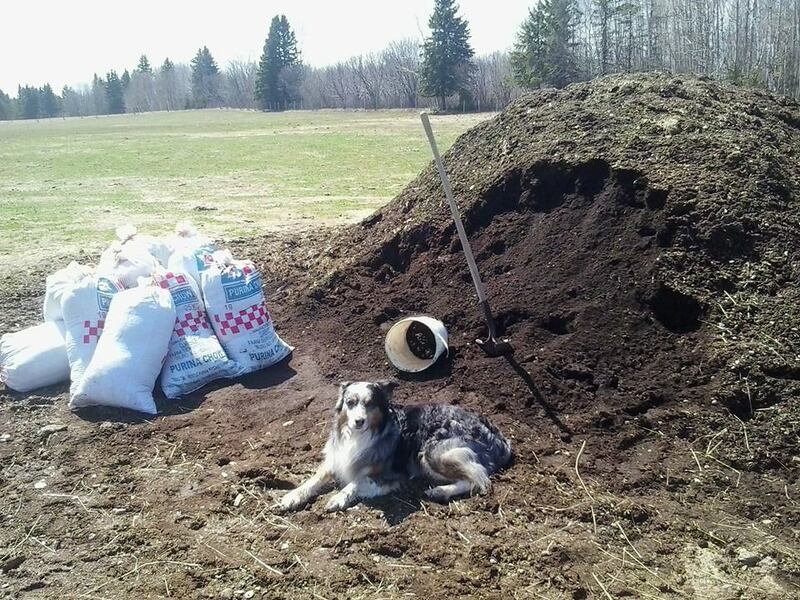 One of our aussies taking a break in front of the compost pile. Our compost, composed of chicken manure, beef manure, straw, hay, etc. has become a staple growing medium and fertilizer for gardeners in our area. Our combination beef/chicken compost cures over the course of two years, time varies. We turn the compost to allow heat and moisture to escape and air to circulate through the compost until it is broken down to an odorless product. Most importantly, the pile or windrow is turned to allow microbial activity to be accelerated or increased. Jonathan, who keeps a close eye on the compost operation, watches the temperature and microbial activity of the compost pile. 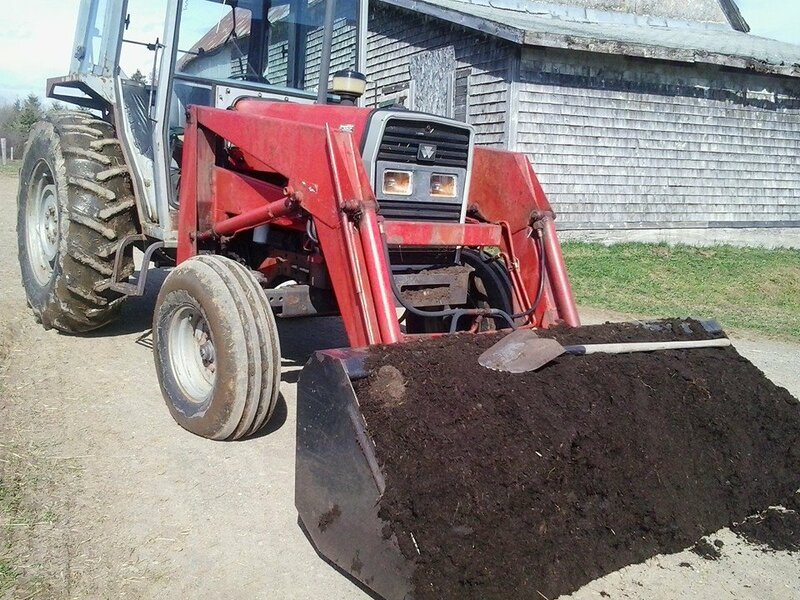 Ideally beef compost should have a carbon to nitrogen ratio between 25:1 to 30:1, moisture content between 50 to 60 %, and pH between 5.5 and 8. Our compost falls within this range. Our plant-based compost is a dark color, rich in microbial activity, with a high moisture content due to high carbon straw and is screened prior to bagging to make sure that there is no potentially harmful foreign matter or oversized pieces of compost. We charge $75/bucket load. A 1/2 ton with an 8′ box holds two bucket loads. 1/2 tonne load = $150, delivery included. Pick up is at the farm. Delivery charge = $10 on bagged orders. How much for a small trailer full? At this point, we are only selling by the bag until we turn our next batch. It would be between $80 and $150 depending on the size of the trailer. We sell large orders at $50 per bucket load on the tractor which is approximately 1 cubic yard. A small trailer should fill one trailer load.